This is a central statement as to how we 'read' the photograph as a text and underlines the problematic nature of the photographic image as both arbiter of meaning and trace of the 'real'. And in a crucial way it lays clear the extent to which any photograph is part of a larger language of meaning which we bring to our experience of the photograph. To begin with, the notion of identical twins suggests the very mirror-like resemblance granted to the daguerreotype in the nineteenth century, and underscores the idea of a photograph as a literal record. Each twin is a reflection of the other. But 'identical' infers 'identity', and the portrayal of a self limited to the surface presence of a single image. The two aspects open up a critical gap between what we 'see' in the photograph and what we are asked to 'view'. The questions raised are made more insistent by the way in which both figures are framed within a photographic space which denies them any obvious historical or social context. We cannot place them in time or space, and there are few clues as to their social or personal background. Arbus has effectively neutralised their terms of existence. The background is white: a painted wall and a path run across the bottom of the image. And yet the path, as a presence, establishes the terms by which we can establish, both literally and symbolically, the basis of our reading of the image. The path runs at a slight angle, and that 'angle' reflects precisely Arbus's approach to her subject-matter. This photograph does not meet its subject in a parallel sense, but looks at it askew, even askance. Thus, what the image begins to reflect is that, like a language, its meanings work not through similarity but through difference. The more we look at the image, moving over its space in time, so the more the merest detail assumes a larger resonance as an agent of identity. And yet we are left with such a pervasive sense of difference as to belie the certainty of the tide. 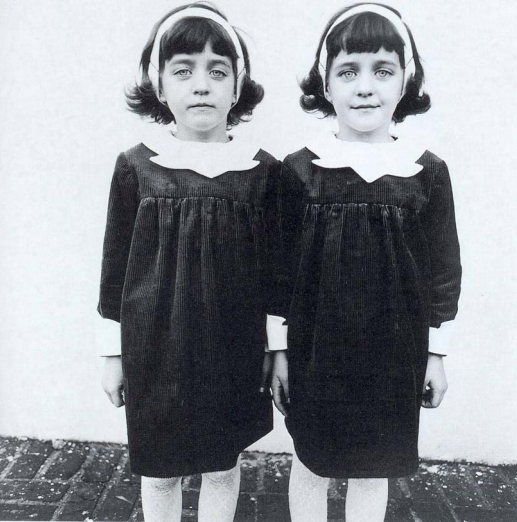 Diane Arbus Identical Twins, 1967 Arbus's image is deceptively simple and belies its implicit complexity. On one level it is an exemplary Arbus photograph and reflects her concern with identity. But it is also about difference, and the act of looking (and judgement). In many ways it can be viewed as a visual essay on the nature of photographic meaning. Even on a basic level such difference is vital. One twin is 'happy' and one is 'sad'; the noses are different, the faces are different; their collars are a different shape, the folds of the dresses are different, the length of the arms different, their stockings are different. All, it seems is similar but equally all is different. Eyebrows, fringes, hair, and hairbands are different. The more we continue to look, the more the merest detail resonates as part of a larger enigmatic presence and tension as to what, exactly, we are being asked to look at. Far from identical, these are individuals in their own right. They are, as it were, very different twins. 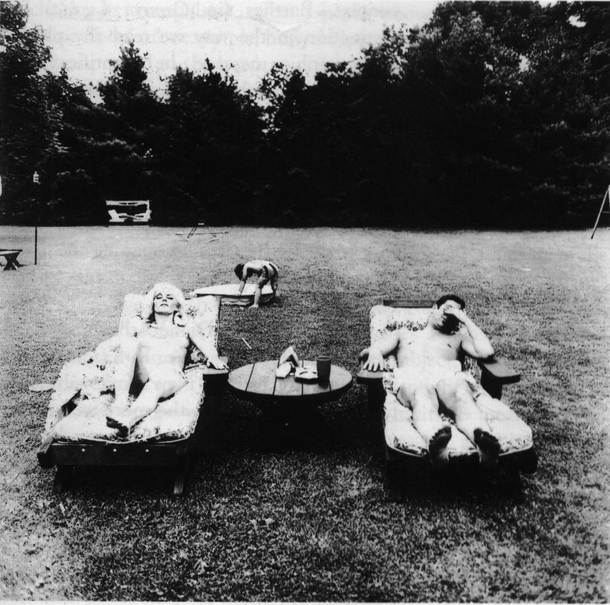 Look at a second Diane Arbus image, A Family on their Lawn One Sunday in Westchester, New York (1969). On the surface this is an image of an average New York suburban middle-class American family, but once again, the more we look at it the more its meaning changes, until it emerges not just as a definitive Arbus image, but as an almost iconic statement on the nature of suburban America. Spatially, for example, the geometry of the image is crucial. The lawn takes up two-thirds of the photographic space and indicates precisely the sense of emptiness, sterility, and dislocation that pervades the image. Diane Arbus A Family on Their Lawn One Sunday in Westchester, New York, 1969 Another archetypal Arbus Image which, highly symbolic In Its language, presents what might be seen as a general Image of American culture. It remains an example of the way a single photograph can represent a larger condition, at once cultural, social, and, In this Instance, psychological. Thus we can read a photograph within its own terms of reference, seeing it not so much as the reflection of a 'real' world as an interpretation of that world. The punctum allows us then to deconstruct, so to speak, those same terms of reference, and alerts us to the fact that a photograph reflects the way we view the world in cultural terms. Photographic practice, though, has in many ways made invisible its strategies and that language, so that we tend to look at the photograph as a reflection - once again, the simple mirror - but on the other hand much photography does seek to make us aware of how and why a photograph has 'meaning'; and in the twentieth century, certainly, many photographers have questioned not just the terms of reference we take for granted but also the codes and conventions of photography itself (e.g. the photographer's status, photographic genres, style, etc.). War photography is a case in point, especially in the nineteenth century. The American Civil War was the most photographed war of its time, with thousands of images documenting its progress in extraordinary detail. This suggests that the camera is a 'witness to events', and yet even at this 'documentary' level the most seemingly neutral of images is subject to the problematic of representation. Look, for example, at Matthew Brady's (1823-96) General Robert Potter and Staff. Matthew Brady Standing by Tree (1865). Brady was one of the foremost of the official photographers of the war, and his images offer a sustained record of events. 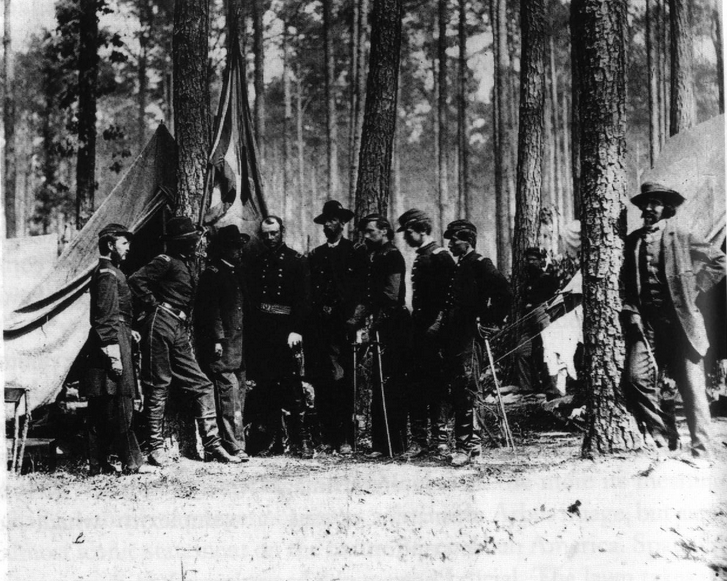 This one is typical, one of a large number of group photographs in which the Union army's hierarchy pose before the camera. So what makes this image so significant? I think the answer is twofold. First, as a formal picture it takes its place within a larger body of portraiture whose parallel, of course, is in painting. Secondly, the photographer himself is in the image (although many of Brady's images were taken by his assistants). What emerges is two different photographs with two distinct messages. Brady has made himself visible to us and, in so doing, has made photography, as much as the military group, the subject of the image. In such a formal portrait meaning is established though strict codes of significance based on a traditional (military) hierarchy of rank and significance in a male world. If we cut Brady out, then Potter, as the general, becomes the centre of attention and is placed in the middle of the photographic space. His position is reinforced by the way the rest of the group defer to him. They look at him, as do we. Potter, at the centre of the group, is also identified as the symbol of a military code based on honour, courage, and strength. His hairstyle and stance are reminiscent of the way Napoleon was pictured (or painted). Potter seems to offer himself as a representative icon of the military world he controls and of the values for which he stands. But his position is also part of his place in history. This is then, in one sense, a definitive portrait, akin to an oil painting. But as with the Arbus, what begins to emerge on closer scrutiny is a highly stylised and dense register of meaning reflecting the world of the image. The vertical structure reinforces the obvious codes of authority and distinction, merging the straightness of the trees behind with the presence of the figures as they stand before us. Potter is the only figure who does not wear a hat, further distinguishing him from the group and increasing his singular status. His significance is given added 'weight' by the dense frieze-like arrangement of the group, reminiscent of a monumental sculpture. The regalia and insignia complete the impression of power and authority, as distinct symbolic languages in their own right. As such, then, this is a conventional portrait and confirms the values of a military world and the significance of distinguished individuals as they confirm their place in history. But what happens when we include the figure of Brady in the image? Allow Brady's presence on the right to be the object of our attention and immediately Potter is de-centred. Matthew Brady General Robert Potter and Staff. Matthew Brady Standing by Tree, 1865 A characteristic portrait from the American Civil War. The central aspect of this photogra ph is the presence of the photogra pher, Matthew Brady, to the right of the official military group. Brady's presence not only questions the terms of photographic meaning, but the values of the system and the subjects photographed. Compare, for example, Brady's stance to that of General Potter. Note also the insistence on the vertical as part of a larger symbolic military and male code. Matthew Brady John Henry, A Well Remembered Servant, 1865 Another Civil War image the reverse of the official portrait. On its own it remains ordinary, but in the context of other images it takes its place within a hierarchy of representation. Thus it questions the terms of reference advertised in [Brady's group portrait above] and draws attention to the position of the black figure within the Union army. The figure's position is compounded by the way in which the smallest object (rubbish, cans, a fence, his clothes) reflects his social position. Every detail signifies something beyond its literal meaning. The compositional balance of the 'first' photograph is completely broken. What emerges is a double structure: an official group portrait which advertises and celebrates a white military world, and a second which, through the simple presence of the photographer, questions the terms of reference of the first. Brady has established a critical distance between himself, the group, and the way the group has been photographed; an aspect further underlined by the way his own pose, nonchalant and casual, is in direct contrast to the others. In terms of Barthes's reading of photographs Brady's presence creates a punctum which begins a process of questioning. Brady, along with such figures as Timothy O'Sullivan and Alexander Gardner, is among the most celebrated of the 'official' war photographers of the period, but once we begin to question the context, the terms of imaging, the treatment of subject, and so on, a very different image of the war emerges, and a very different sense of war photography as an historical account. What such images show us is not so much a history as an ideology, and in their accretion as a composite image they create a sustained photographic essay on that ideology. Collectively they build towards a critical questioning and, far from 'official', they suggest the contradictions and myths at the centre of the culture. Thus, in relation to the General Potter photograph an image like takes its place within a very different tradition of portraiture and history, as a fundamental inversion of the 'official' portrait. This is, literally, the underside of the formal advertising and reveals the Potter image as both propagandist and mythologized. The single figure is isolated, at the margins of the world depicted and at the bottom of the hierarchy. Most obviously he is black, and just as his presence was missing from the white world of Potter's image, so here he is restrained within a domestic context. He is named as a servant, passive, and surrounded by rubbish. His uniform confirms his condition. Such a critical and self-conscious use of the medium is most often associated with radical twentieth-century photography, especially since the 1950s, when there has emerged a sustained questioning of the terms of representation and the structures of meaning very much influenced by critical theories associated with modernism, and in the postmodern period, by structuralism and semiotics. But in many ways we need to see all photographs in the same terms and be alert to the extent that photographers have always been concerned with the context of both the photograph and the act of taking it. The illusion of a photograph's veracity is always open to a punctum which allows us to read it critically and to claim it as not so much a token of the real, but as part of a process of signification and representation. The extent to which many contemporary photographers have questioned the idea of a single representational space and made the reading of the photograph their subject helps to place all photography within the context of postmodern practice. The irony that photography achieved its ascendency as a visual medium confirming a real world just at the point when literature and painting were rejecting the aims and assumptions of realism, is tempered once we agree to a theory of photographic meaning as being as problematic as anything we find in such works as The Waste Land, Ulysses, or Les Demoiselles d'Avignon. Just as Wallace Stevens declared that in modern poetry the subject was 'poetry itself', so in painting the act of representation itself became central. 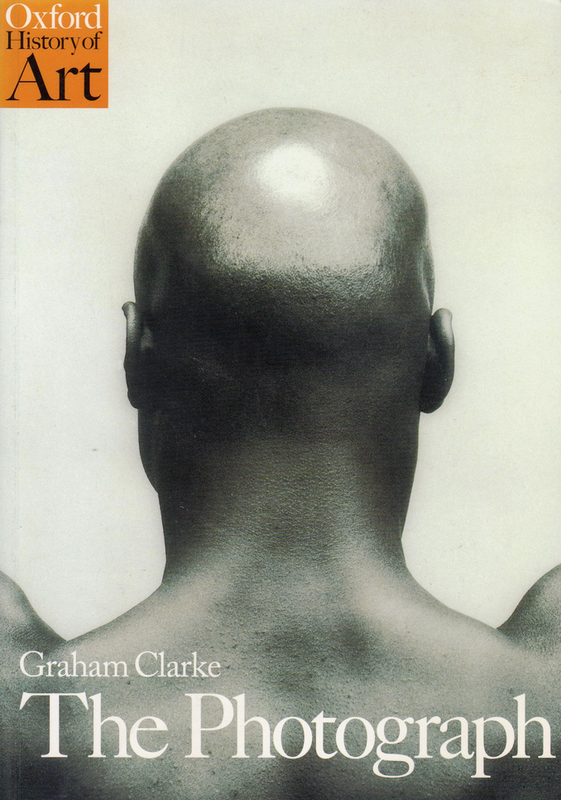 Photography has followed a similar development, creating the terms for a critical reading of its meaning and status as a mode of representation. One such photographer is the American Lee Friedlander (1934 - ). 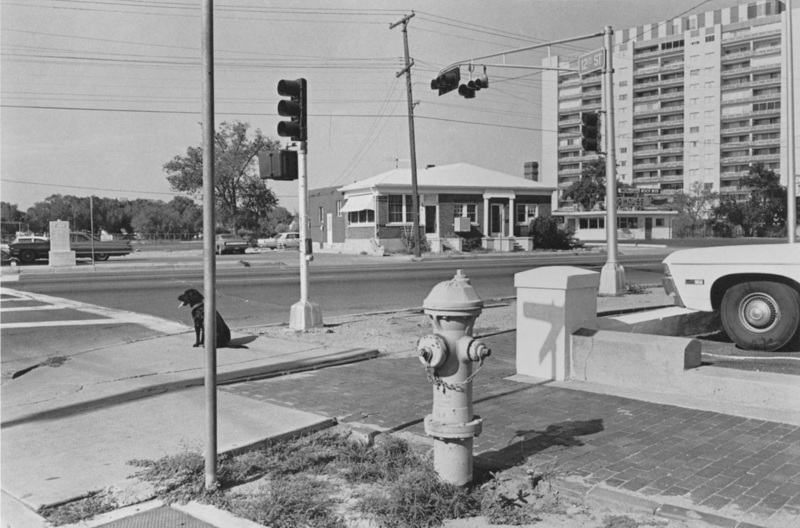 Friedlander's photographs are deliberately difficult to read, indeed, they make difficulty basic to their meaning as part of a larger critical process. The question of the terms by which we read a photograph, and the status of the world it 'reflects' are central to his whole enterprise. His eye roams the United States not as a Walker Evans intent on a vision of a particular cultural order, but as the recorder of a series of random events and images which, once questioned, fail to cohere. What emerges is a disparate world of chaotic images and signs, signifying processes in which everything hovers about meaning but finally only declares itself as part of a larger problematic structure. And within this process the photograph directly implicates us in the act of reading. It neither draws us into its assumed space, nor mirrors back a world which affirms our own terms of reference. Instead, it purposefully distorts the world we take for granted and makes the photographic act part of a larger way of seeing and constructing meaning. His images are not so much a record of what is, as visual essays on cultural representation. Highly self-conscious, they work through paradox, the play of absence and presence, radical perspectives, and the breaking up of the photographic surface to create new and difficult relationships.